Who Needs a Front Line Editor? Who needs a front-line editor? Well, I do. And so do you. I earned my living for years as an editor but I know my editing skills are no match for my writer’s ego. It doesn’t matter if I set my completed book aside for a week, a month, then look at it again with fresh eyes. I can revise the dang thing a dozen times, but that still won’t create a product ready for the submission process. And, usually by the time I’ve revised, revised, revised, I’m so sick of the “sound” of my words on the page, I’m certain it’s all drivel, fit only for kindling. And, even though I’m pretty good with grammar and punctuation, I still can’t trust my eye to pick out mistakes I’ve looked at a hundred times. A missing or duplicated word, a comma in the wrong place, a period instead of a question mark … Familiarity breeds complacence. At this point, I hand my manuscript over to my front-line editor. She happens to be my sister-in-law, Donna Warner http://djwarnerconsulting.blogspot.ca/, who is also a professional editor. She performs her magic with Track Changes On so I can accept or reject her suggestions. Mostly I accept them. With my first book, CHEAT THE HANGMAN, I felt so protective of my words, I whimpered all the way through Donna’s first edit. My words were so lovely, how could she expect me to cut any of them? What does she mean, they add nothing to the storyline and slow down the action? Much drama ensued. I got over it. Now, if I agree a word/passage/paragraph/chapter needs to go and I’m still not willing to kill and bury it, I copy it into a separate file in case I want to use it another time. I rarely do. I realize my brain is crammed full of words, most of them better than the murdered ones. But, without my front-line editor’s keen eye, I would have left these pieces in, not realizing they impeded the flow of the story. By the time we worked on CORPSE FLOWER, I was far more willing to slash my word count and tighten up my writing. I hope Donna’s job was little easier with CF. Donna works on my manuscripts for free. I realize a lot of authors don’t have an editor friend or family member to perform this service for them. Hire one. Find a good editor and pay the fee. You may be thinking this is an unnecessary expense. After all, once your book is accepted by a publisher, their editor will fix everything up. Wrong. The first person who sees your manuscript when you submit it to a publisher is an editor. This editor is trained to quickly gauge if a manuscript will require too much up-front work to make money for the publishing house. He or she will read the first few paragraphs or a couple of pages if you’re lucky. If the sample is dotted with grammatical and punctuation errors or, worse, choked by wordy prose and unwieldy dialogue, guess what happens? The manuscript you wept, bled, and sweated over will get tossed into the recycling heap and the editor will go on to the next, adding your name to the list of hopeful authors who will receive a form rejection letter or email. There is no second chance. So, why risk rejection with the first person who picks up your manuscript? Have it professionally edited. I realize I sound like I’ve heavily invested in Editors R Us, but it’s a crucial step and I hate to think of good writing going to waste for lack of a front-line editor. I’m savoring sweet revenge these days. Donna and I are collaborating on a mystery/suspense novel and I get to edit her work! It started with a short story she wrote, and we can see the finish line in the distance. Because we’re family, we can’t fire each other but, so far we haven’t come to blows, and the verbal assaults have been minimal. Once we’re totally, absolutely certain our book is perfect, we will give it to our beta readers for their input. But, that step in the writing process is for another blog post on another day. For now, keep in mind that a front-line editor can make the difference between acceptance and rejection. 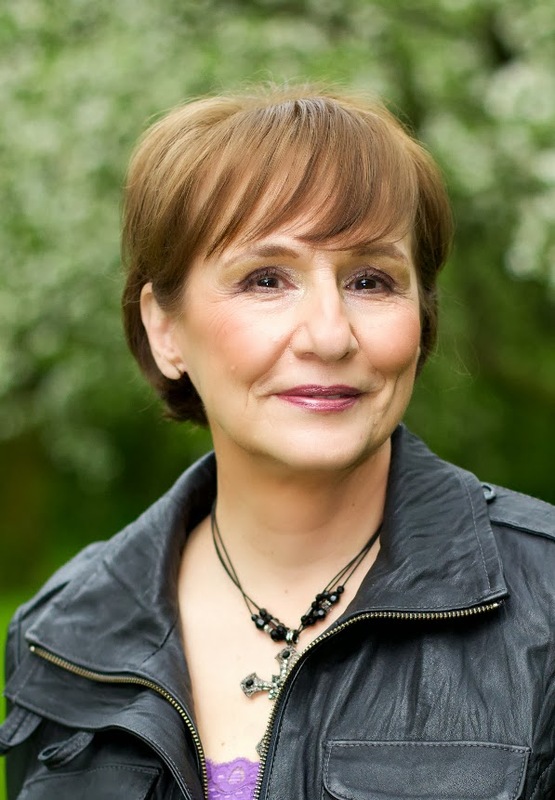 A former technical writer, Gloria’s first mystery, CHEAT THE HANGMAN, won the 2012 Bony Blithe Award for best light mystery. 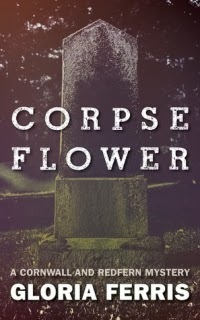 CORPSE FLOWER won the 2010 Unhanged Arthur Award and was recently published by Dundurn Press. She is working on a sequel to CF and occasionally writes a short story or novella just for the heck of it. No argument from me Gloria. I know I need someone else to edit my work -- and especially to proofread it. Excellent article! I hope lots of authors read it and adhere to your advice, Gloria. This is a subject I feel strongly about - obviously! Thanks for having me on your blog, Alison. Sometimes it does a body good to write outside the comfort box!